The Mazda CX-5 has been refreshed for the 2016 model year. First released in 2012, the CX-5 was the showcase model for Mazda’s KODO design language and their SkyActiv technologies. The CX-5 has been loved for its blend of practicality and sporty handling. The chassis is without a doubt the best in the class, and when matched with the larger of the two engine options, can only impress anyone who likes twisty back roads. The 2016 model receives a revised front grille. The GT trim level adds new LED signature lighting in front and back, and new 19 inch aluminum wheels. The engine choices remain the same, although they have been massaged to give better fuel economy. 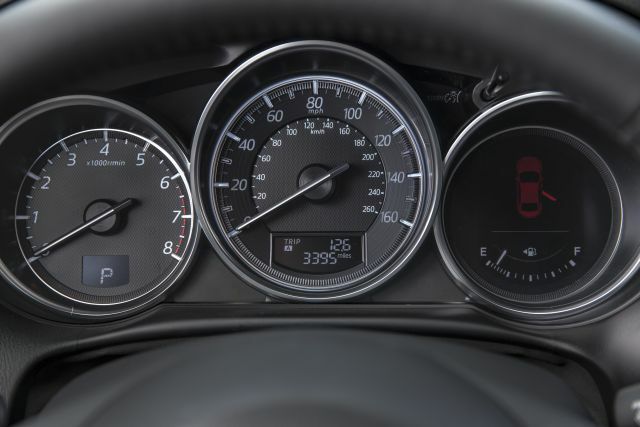 The base engine is the SkyActiv 2.0L, that delivers a functional 155 hp and 150 lb-ft of torque. The larger choice is the 2.5L SkyActiv which puts out an eager 184 hp and 185 lb-ft of torque. Either engine has the option of the AWD system that has been refreshed. The 2.0L has the option of a manual transmission. Fuel economy estimates are: 9.0/6.8 city/highway L/100 km or 26/34 mpg for the 2.0L manual; and 8.9/7.1 L/100 km or 26/33 mpg for the 2.5L automatic. On the road the new CX-5 should handle better due to revised front and rear damping and redesigned front lower arm bushings. Occupants will be able to carry on a conversation without raising their voices due to enhanced sound deadening that delivers a 10% quieter cabin at highway speeds. The seats are snug and will hold the passengers in place as the driver carves the corners of their favorite road; the seats also offer a higher level of comfort than the outgoing model thanks to a restructuring. The rear seat cushions have also grown which helps the passengers find a more natural position. Ever evolving is the level of safety technology available to consumers; and the CX-5 will not disappoint. Owners can opt for such assistants as radar controlled cruise control, brake assist – designed to avoid frontal collisions-, blind spot monitoring and cross traffic alert. The dash and control layout are clean and clearly understood. The Mazda connect system makes pairing your phone a breeze and use of an electronic parking brake cleans up the drivers foot-well. 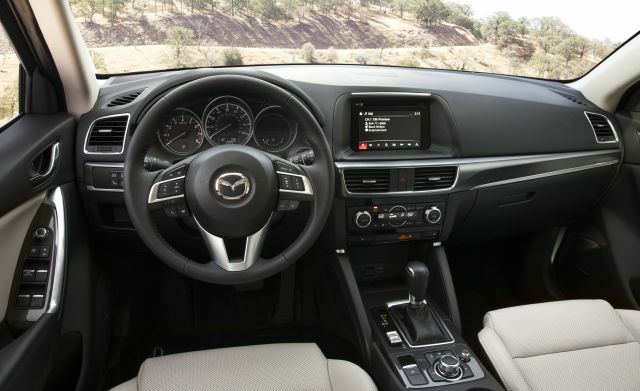 By offering comfortable seating for five, a useful amount of space and of course a fun to drive nature, the 2016 Mazda CX-5 looks poised to trample the competition once again.